It continues to remain safe in Goma currently, though the 19th of each month could be disruptive. An activist group has been cleaning streets dressed in white to show they want a ‘new’ country. The police have stopped some. 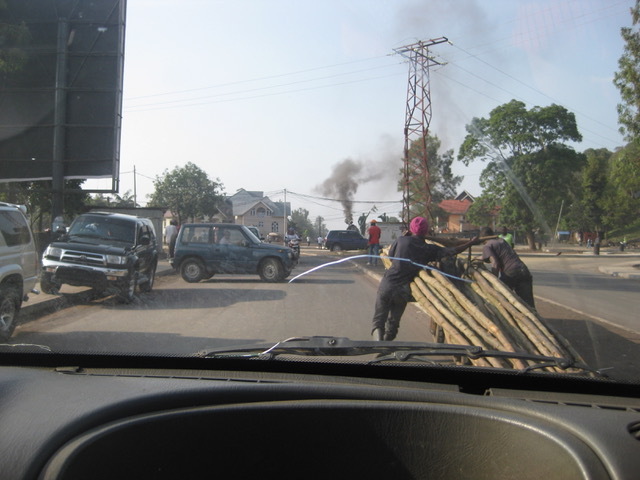 Civil disruption has been reported elsewhere with reports of young people being shot in Butembo after protests. (300kms north of Goma). In Kinshasa, the capital, protesters have been reported shot by police. As Dr Jo Lusi (founder of HEAL Africa) said recently, “Every day we remain ‘extremely curious’. “. Those reading this who have been to Goma will be surprised (and thrilled) to know that the main road from Maji, where we stay, along past Le Chalet and up to the main junction, is being resurfaced with bitumen. This past week work has been done on the section along and outside Maji. Detours around the road works are so narrow and bumpy, making the current drive frustrating. Equally, the entrance to the hospital itself has been moved and remodelled in an effort to make the hospital flood proof after the inundation and damage earlier this year. AusHEAL supports basic surgical training under COSECSA (College of Surgeons of East, Central and Southern Africa). Much of this training is conducted within HEAL Africa Hospital by the HAH Surgeons. 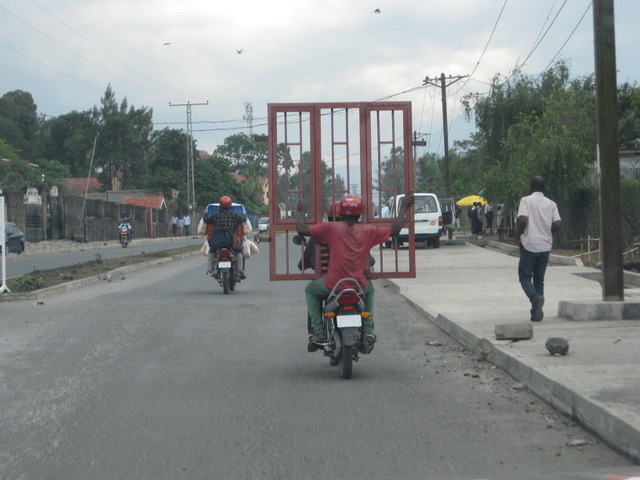 Such training is the first of its kind in D.R.Congo. The 5 HAH trainees are required by the College to attend courses over the border in Kigali (Rwanda), in association with the Rwandan Surgical Society. Trainees went to Kigali on Tuesday and Wednesday this past week to attend the first course on ‘Basic Surgical Skills’. The event created anxiety as a number of the trainees had not ventured outside Congo before. 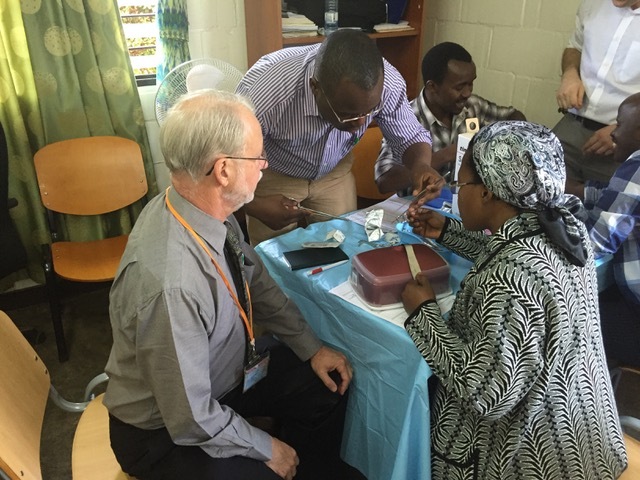 Neil had travelled to Kigali a day ahead of them for a ‘Train the Trainers’ component of the course and to his surprise found it was being conducted by two Scottish surgeons from the Royal College of Surgeons of Edinburgh, along with the head of training in Rwanda. He was able to facilitate the attendance of the Heal Africa Hospital trainees and ensure that the Trainers were sympathetic to their difficult situation, particularly as in Congo English is not the first language. It was a thrill to see the Congolese trainees perform so well at the course, be accepted by their Rwandan colleagues and learn a great deal of basic surgical skills. It has boosted their confidence. It was helpful for the Congolese trainees also to see that the techniques that Neil has been discussing with them are actually not just confined to surgical practice of in the developed world but also regarded as essential by their African colleagues. A second similar course on Surgical Physiology will occur in Kigali on the 23rd-24th October. In their weekly presentations at HAH the trainees have already been studying Surgical Physiology in preparation. Their initial fear of having to present course material has been allayed by meeting up with their Rwandan colleagues at the first course. Gwen has begun English classes 4 times a week. 2 specific classes for staff from the Finance Department and 2 classes generally for remaining hospital staff. It brings much enjoyment not only to the students but also to Gwen herself. After a number of years of sponsoring young doctors to specialise in other African countries, HEAL Africa Hospital is now well-equipped with trained specialists in most of its Departments. 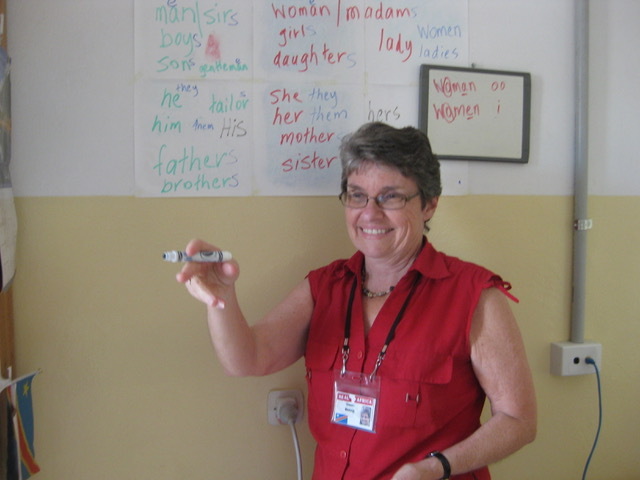 The focus of the hospital is being realigned to empowering training in Congo itself, Jo and Lyn Lusi’s original vison. Consequently last week saw the establishment of a new training focus at HEAL Africa Hospital called H.A.T.S. – Heal Africa Training Scheme. Training under the umbrella of HATS began in the following areas: Family Medicine Program, Surgical Training Program (COSECSA), Orthopaedic Officers Training Program (Nurses), Neonatal Nurses Training Program, Fistula Surgery Training Program, Radiology Training, with the anticipation of Maternity Training, and probably Emergency Medicine training. As a further part of the HATS program, a Chaplaincy Training School was launched on Friday 7th October also a long-held dream of Heal Africa founder: Dr Jo Lusi. Twelve men and women from community villages and committees have begun Clinical Pastoral Training to enable a holistic approach in healing. The community leaders are taught to listen as people tell their stories and offer wise counsel. It is still common in surrounding villages for people to believe in witchcraft and seek advice when ill from their local ‘healers’. Training chaplains will begin an approach to educate people in communities and villages about the benefits and value of seeking trained medical help from hospitals. Secondly communication networks between hospital and village will be fostered and strengthened. It is the legacy of Jo’s late wife, Lyn, whose life’s work was to reach out with ‘love in action’ to the people in villages of eastern Congo by establishing local community committees to find solutions to, and help deal with, the many atrocities (social, health and spiritual) occurring in rural areas. Overnight a young moto (motorbike) driver aged 28 was admitted after having been knocked off his moto in a ‘hit and run’ incident. He had a very serious head injury, was unconscious and transferred to the Intensive Care Unit where he was put on a ventilator. A CT was indicated. As the hospital CT machine sent from Australia some time ago is still awaiting further funding to allow installation, the young man had to be transported by the HEAL Africa Hospital (HAH) ambulance to a private radiology clinic in Goma for the scan. Unable to afford the private CT cost and ambulance fee, his family asked for contribution from family friends etc. At the transfer 30-40 fellow moto (motorbike) drivers congregated at the gates of the hospital to watch him being put into the ambulance. No doubt they had also contributed to his financial need. This is a culture of community – not individualism. They help each other out. As is often the way in Congo, rumours spread quickly. A car came to the hospital and the moto drivers thought it was the vehicle which had hit their fellow driver. 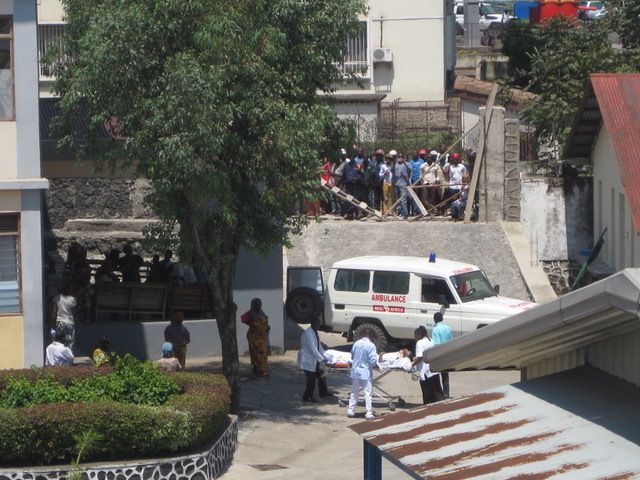 A commotion started at the front gate as many moto drivers tried to storm the hospital. They wanted to pull the driver out of the vehicle, beat him and burn the car. In a matter of minutes about 5 heavily armed police arrived at the entrance and along with the hospital security guards managed to push the moto drivers back and disperse them. It turns out the driver of the vehicle was simply a friend bringing the patient’s wife to the hospital to pay the bill! This story underlines Congo’s background: patients cannot often afford medical care, there is a tremendous community spirit, but rumours and misunderstanding can lead to rapid changes in the mood of a crowd. It reflects the edge the country is on with the current political uncertainty. A year ago Dr Neil saw a young girl who had accidentally drunk acid. It consequently destroyed her oesophagus and left her unable to swallow. Her parents took her to 4 hospitals and used all their money on these visits but nothing was able to be done for her. She was malnourished and her father pleaded with us to help her. 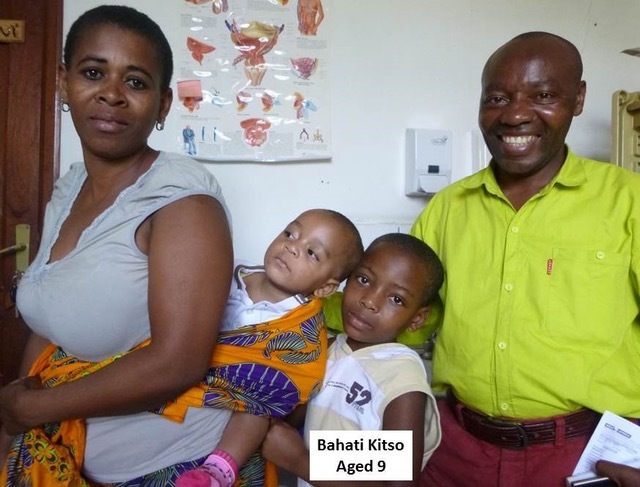 As the girl’s weight and nutritional condition had greatly improved Neil was able to operate on her in March this year, performing oesophageal bypass surgery. It was major surgery, successful and she recovered amazingly well. She attended an outpatient’s appointment this month for a clinical review and she is so well – no side-effects and eating and swallowing normally. Imagine the excitement when her father brought her to the hospital during this past week to greet us and to say how wonderfully she was doing. She is back at school as a normal student. This girl now has a future ahead of her. AusHEAL through its AusHEAL Hospital Patient Fund provides funds to enable such patient’s surgery and subsequent hospital care.